Scientists from the University of California in San Diego developed an automated troubleshooting system for wireless access networks. The system was initially designed for the UCSD computer science building, but its success resulted in a paper presented by the researchers at ACM SIGCOMM, one of the world’s premier networking conferences, held this year in Kyoto, Japan. This system could help enterprises and businesses with complex wired and wireless networks solve connection problems faster and with far less resources. 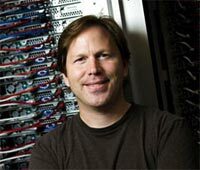 Stefan Savage, Professor of Computer Science at UCSD and a lead researcher on the project, said that even though people expect WiFi to work, there is a general understanding that it’s “flakey”. The developed enterprise-scale troubleshooting system is capable of detecting and diagnosing various problems often encountered when using a WiFi connection. “If you have a wireless problem in our building, our system automatically analyzes the behavior of your connection – each wireless protocol, each wired network service and the many interactions between them. In the end, we can say ‘it’s because of this that your wireless is slow or has stopped working’ – and we can tell you immediately,” said Savage. Yu-Chung Cheng, a computer science Ph.D. student at UCSD and a lead author on the paper, explained that many network problems today aren’t easily detectable even by network administrators – many aren’t consistent and have numerous possible reasons for occurring. “We’ve created a virtual wireless expert who is always at work,” said Cheng. The UCSD automated “help-desk” system has been running within the Computer Science building for about 9 months – after approximately 2 years of data collection and analysis. According to Savage, the research team is currently testing and troubleshooting WiFi-based Voice-Over-IP (VOIP) phones – “Our system is the ultimate laboratory for testing new wireless gadgets and new approaches to building wireless systems” – he said. More information on the UCSD WiFi troubleshooting system can be found here.